Welcome to our 6th IAEG Connector! In this issue, we are putting the spotlight on another IAEG officer and the second announced keynote speaker. Our Vice President for North America is Eldon Gath, President of Earth Consultants International of California. He replaced Jeff Keaton last year as VP for North America when Jeff could not spend the time on IAEG because he was chairing a national committee with ABET in the United States. 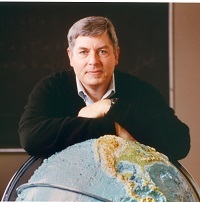 Eldon has been past president of AEG and is a specialist in paleo-seismology. He has been very active on the IAEG Executive Committee. 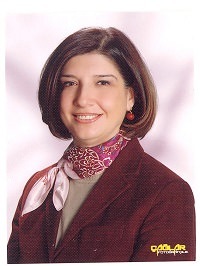 I would also like to introduce Professor Atiye Tugrul from Turkey who will be one of the eight keynote speakers at the congress. She is one of the top people in the world in aggregates. She is the chair of the IAEG Commission on Aggregates and from 2010-2014 and was one of the Vice Presidents for Europe for IAEG. She is in the Applied Geology Division of the Department of Geological Engineering at Istanbul University. I wanted to update you on the Congress in San Francisco. Today, we got the numbers and 561 total people have registered in all of the categories for the congress. We will have over 600 talks and poster session presentations. 63 percent of the room block has been reserved so far. Eldon, a consulting engineering geologist, has more than 30 years of experience in the identification, investigation, and remediation of geologic hazards, involving land use planning, environmental assessments, field exploration programs and presentation of findings. 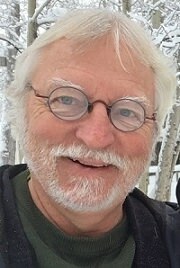 He has particular experience with the evaluation of active faults for construction site planning, the development of seismic safety programs and policies, and is currently engaged in efforts to modernize California's 40-year old active fault zoning act (Alquist-Priolo Earthquake Fault Zoning Act). We just received word that Owen White of Canada, the president of IAEG from 1986-1990, passed away in Canada. He was loved by so many engineering geologists world wide. He was 92 years old. 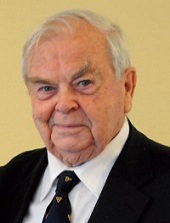 Professor Owen White got his Ph.D. from the University of Illinois and then became a professor at the University of Waterloo in Canada from 1966-1977. He then was the Chief Engineering Geologists for the Ontario Geological Survey from 1977-1990 when he retired. He was the Hans Cloos Medal winner for IAEG in 1998. He will be missed! What caused the mass extinction of Earth's 1st animals?